As the Prospect Researcher, you will be responsible for providing the processes, information and leads to drive philanthropic giving from high net wealth individuals and philanthropic trusts. Reporting to the Head of Major Supporters, you will focus on researching, preparing reports and lead management to support the growing major supporters program. The location for this role is flexible. Develop an annual prospect research plan to guide prospect research activities. Identify and employ proactive prospecting methodologies, utilising both in-house data and outside vendor research resources. Lead and facilitate prospect review meetings and fundraiser portfolio reviews. Proactively build partnerships across the business, including working closely with fundraising teams and collaborating with the Data team to improve data integrity. Provide basic prospect research training and development to staff across the business. Beating blood cancers by helping people living with blood cancer live longer and have a better quality of life. The Foundation cares for patients and their families affected by blood cancer and related blood disorders by providing a range of vital support services free-of-charge, including counselling, information, accommodation, transportation and practical assistance. The Foundation generates significant funds each year to cutting edge medical research to find better treatments and cures. To achieve our inspiring purpose, everyone’s impact counts. Understanding of wealth indicators, including income (estimated or public) and assets. Strong computer literacy skills and experience working with a relational database, as well as the Microsoft Office suite of products, including excel. Ability to analyse and organise information to identify philanthropic patterns, tendencies, and relationships among individuals, corporations, and foundations. Ability to recall, recognise, and communicate interrelated information pertaining to benefactors and prospects foundations. 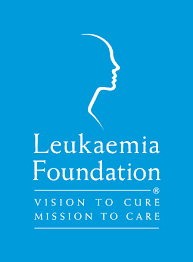 The Leukaemia Foundation provides personalised care and support to patients, families and carers living in all metropolitan, regional and rural areas across Australia. Support services include information, resources, education and support programs, transportation to and from hospital and medical appointments, a ‘home-away-from-home’ in the Leukaemia Foundation’s fully furnished accommodation close to major hospitals, practical assistance and emotional support. All of these services are provided at no cost to patients, families and carers – so that is why our volunteers efforts are so important! Please quote in application: Prospect Researcher via Pro Bono Australia.